Time To Reign has lived up to his breeding as a half-brother to a Golden Slipper winner. 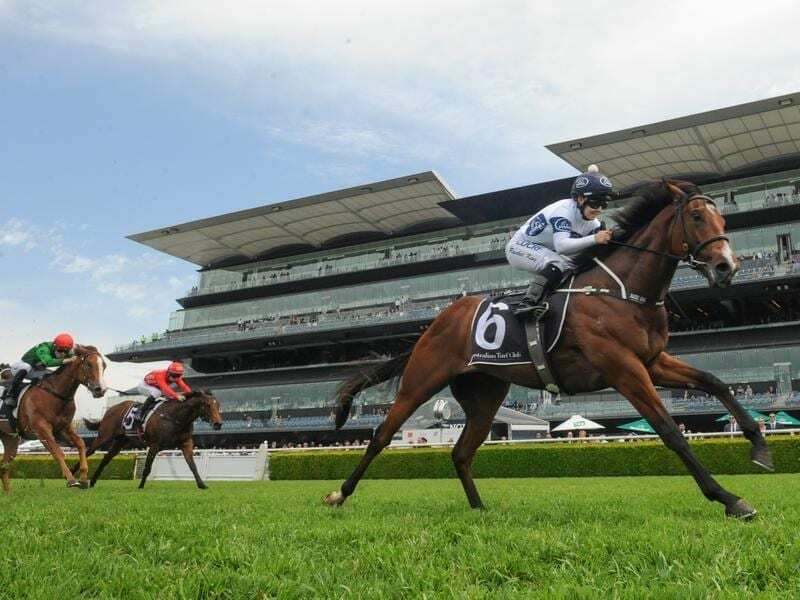 A relieved trainer Gary Portelli is now dreaming of a second Golden Slipper after watching She Will Reign’s little brother make a winning debut at Randwick. She Will Reign, won the 2017 Slipper and added the Moir Stakes to her Group One resume, has been retired and sent to Japan for broodmare duties. The colt jumped cleanly for Rachel King and was never headed in Saturday’s Kirkham Plate (1000m) for two-year-olds, finishing 2-1/4 lengths ahead of Absolute Control with Evening Slippers another length third. After the scratching of Breeders’ Plate runner-up Covert Ops, Evening Slippers was promoted to $3.20 favouritism ahead of Time To Reign at $3.70. “You can compare them in ability but not much else.” he said. “He hasn’t done a lot of work and he stopped and waited for the others,” she said. “He saw the big screen and watched himself all the way down the straight.